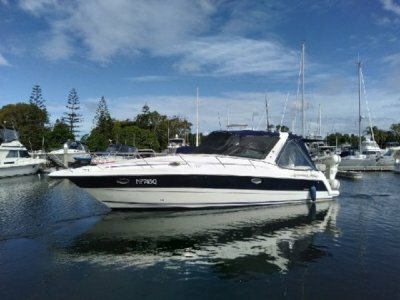 Gold Coast Boat Sales, originally Capri Boat Sales was established in 1996 at Capri Marina, Surfers Paradise. In May 2002 Capri Boat Sales relocated to the Runaway Bay Marina allowing us to professionally market a larger and more extensive range of both new and used power and sail vessels. A natural progression was the renaming of the brokerage to Gold Coast Boat Sales to reflect the extent of our coverage of sales in this area. The brokerage team of Stuart Stephenson and Tony Capolupo offer many years power boating and sailing experience, extensive commercial qualifications are also held and the team pride themselves on their ethical service to both vendors and purchasers alike. The Brokerage office is open 6 days per week. If you are considering buying or selling, please feel free to contact us by telephone, fax or e mail for further assistance. For more information use our Contact Us page.